Perry said hosts of comedy shows are over scripted as well. He hopes to depend on his talent for improve as host of “Off The Chain,” which premieres Tuesday, January 14, 2014 at 9:00 p.m. EST. This first season of the Bounce TV comedy show had Rodney as one of the comedians presented. Rodney acting credits also include a role in the Johnson Family Vacation (2004). As a stand-up comedian his credits include “Who’s Got Joke’s” as the man on the street (2006 – 2008) and in “Cut ‘N It Up: Dallas” and “Cut ‘N It Up: Chicago” DVD releases of live performances. 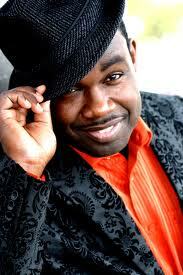 Bounce TV’s “Off the Chain” hosted by Rodney Perry airs Tuesday, January 14th at 9 p.m. EST. Visit www.BounceTV.com OR www.RodneyPerry.com for more information. 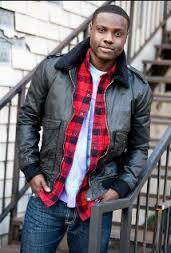 Known for his role in The Hunger Games (2012) as Thresh, Dayo Okeniyi is now taking on the role of Marcus in the Lionsgate Home Entertainment coming of age film The Spectacular Now. His co-starring role has him as part of a high school scene which follows Sutter Keely, played by Miles Teller (21 and Over), as his life is changed unexpectedly when he falls in love with a “good girl” Aimee Finecky, played by Shailene Woodley (The Descendants). Dayo, who will be starring in Ben Affleck’s film Runner Runner, said the script for The Spectacular Now has been floating around in Hollywood for a long time. (Syndicated Columnist: Eunice Moseley, has an estimated weekly readership of over ¼ million with The Pulse of Entertainment – she is also a Public Relations/Business Management consultant and Promotions Director (at-large) for The Baltimore Times. Her Event: Baltimore "Uplifting Minds II" one day national entertainment conference (seminar panel & talent competition) at Security Square Mall Sat. April 19, 2014. www.FreelanceAssociatesInc.com, www.ThePulseofEntertainment.com, www.UpliftingMinds2.com).